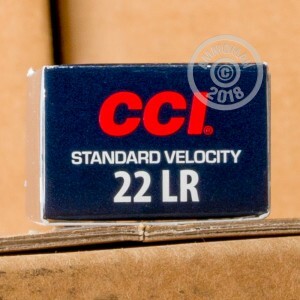 These CCI 22 LR rounds are perfect for the shooting enthusiast who is primarily interested in hunting, plinking or target shooting. Clean burning and highly accurate. Although not considered match grade, after firing some rounds, you may ask the question why they aren't! CCI "Cascade Cartridge, Inc." was established in 1951 and is a company made famous for their primers and rimfire cartridges. Over 60 years of research and development have been poured into these high quality rounds. They feed great, are highly reliable and very accurate. 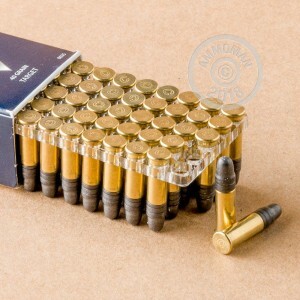 These CCI 22 LR rounds are non-corrosive and loaded in brass casings. These are ok rounds. The only problem I had was a constant failure to eject. Used them in my marlin 60 but I don’t think they have a strong enough charge for semi automatic. I would recommend them for a lever action. As usual ammoman service was great! Delivered in 2 days. Your company was highly recommended to me by a friend. I will buy ALL of my ammo right here at Ammoman!! !